Contains one 6.9 ounce can of maximum strength mosquito & fly spray and one automatic dispenser. 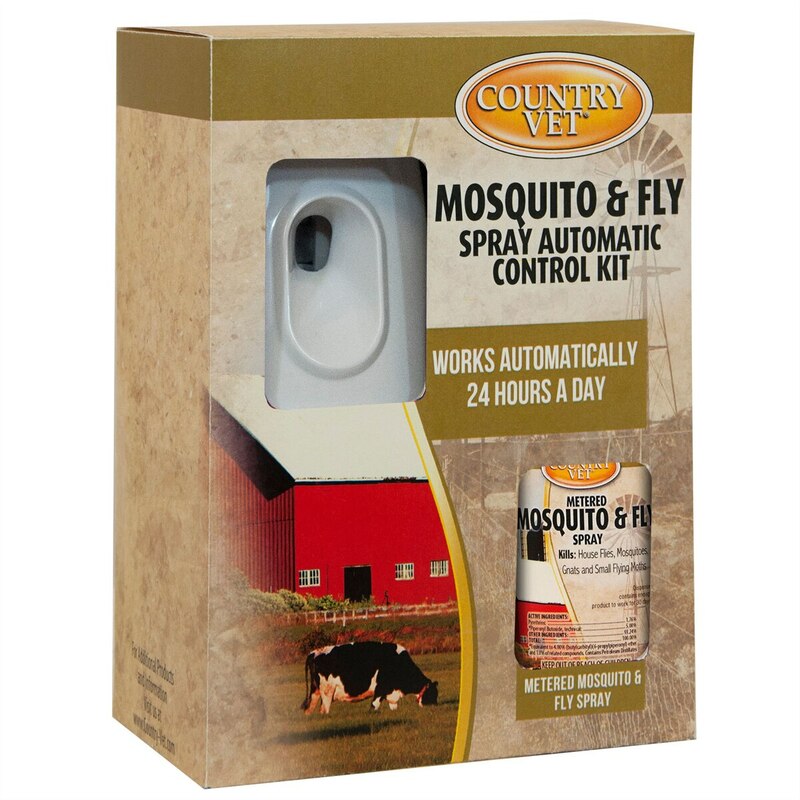 Barn, stall & stable automatic flying insect control. Kills and repels flying insects including mosquitoes. Works automatically - 24/7 for 30 days! EPA registered-USDA authorized. Works automatically - 24/7 for 30 days! Kills and repels flying insects including mosquitoes.